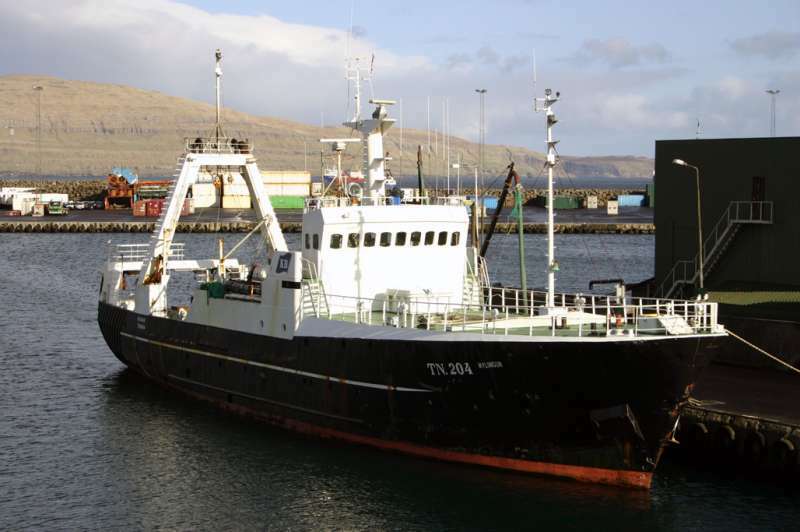 A blond question, but does anyone know, what is a "Findus-trawler"? Something to do with the frozen food firm Findus perhaps? Is that factory by the bridge there by any chance Norwegian Talk AS...?? (Have a very good friend working for that firm, but I have never visited or seen his place of work). What in the hole wide world do you have of photo equipement???? I have never seen so good, bright, clear and sharp pictures from your hands!!! 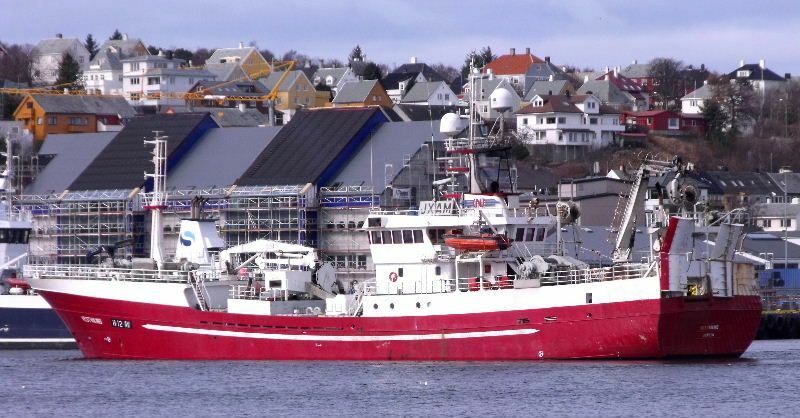 Here's an image of a "Findus-trawler"
Thanks for the explanation Sterkoder: if I get any smarter now, my head will burst at the seams. -"Yes, dear..., what is it?" -"Why do you know EVERYTHING???" Yes, very cute, but you did leave out the answer to that question.... why? I don't know a lot about one thing, I know a little bit about a lot. (At least I try to). This might not answer any question, but I love to dig into things and find out things for myself, either by internet or books. You never know what you'll need of info about this and that, so I put such info in a special drawer in the back of my head for future use. I don't know how to put it, but if you're interested in something, it's easy to get info about it and to find answers about the area of your interest. "Vestviking" departs Kristiansund this Sunday afternoon. I'm not sure what the N on the funnel stands for, but I would guess it's for the managing owner Hans Einar Njåstad. 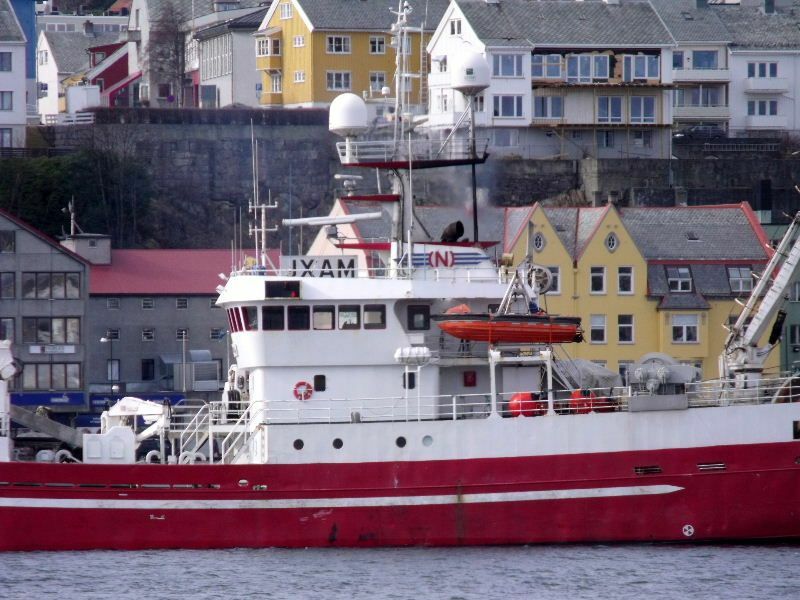 The owner is P/R Johrema ANS, and this is a purse seiner/trawler built at Th. Hellesøy Ship Yard in 1986. It's 206,5 feet long and 39,3 feet wide, has Wichmann main engine of 3.260 bhp giving the vessel a top speed of 14 knots consuming 8.000 ltr. fuel pr. day at that speed. 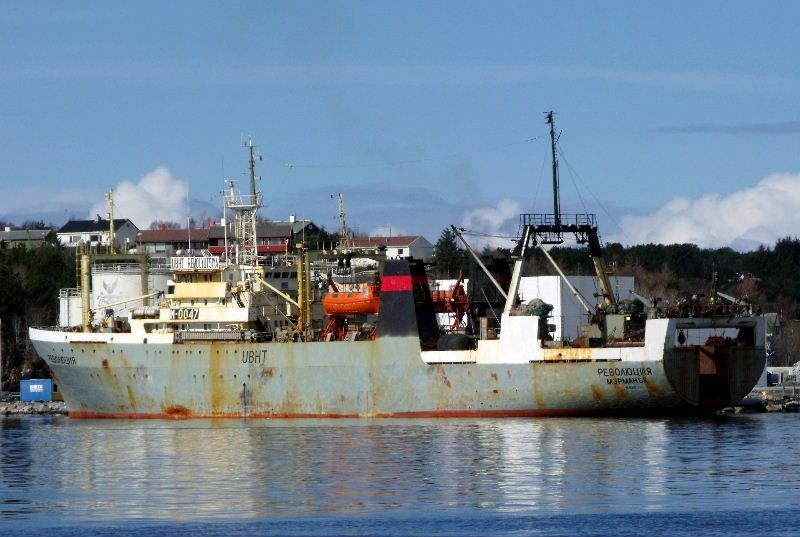 Russian trawler "Revolyutsiya" over at Kristiansund Freeze Terminal. Might be taking on board tons of ice...., I don't know. This fellow don't need any ice, she is a factory trawler. 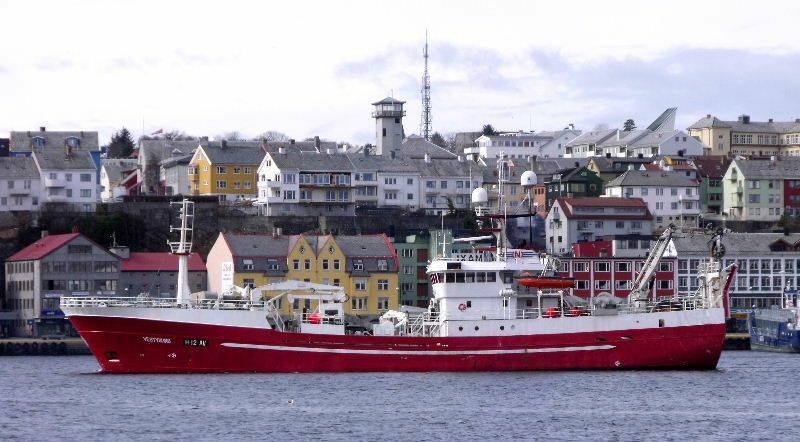 More like they are delivering frozen or salted Cod, Ling or even Alaskan Cod, which will be processed in KSU and exported as Bacalao Norvege to the Portuguese and Brazilian to eat during NEXT Easter. God Paaske!!! I'm sure you're right, and I should've understood that myself. But thank you anyway, and the same to you: GOD PÅSKE!!! Finally a new picture from me here in Alta. To even more it will be, since I got me an apartment overlooking the harbor. Here are some pictures of some fishing boats that are docked here in Alta. What is the tall concrete structure in the background? Looks like it says NORCEM on the top, and from that I think it could have something to do with cement... maybe a cement storage tank? How do they protect the hull of Bøholmen? I assume it is varnished but I don't see any anti fouling paint. How do they keep barnacles and worms off the hull?